Get excited because we’re going digital baby! Having your own website gives you an opportunity to make a great first impression, gain credibility, reach new clients, and brand yourself as a personal trainer. It also makes selling personal training online so much easier! Whether you want to work full-time or part-time as personal trainer, selling personal training online has never been easier, especially in the digital world we live in today. If building a website isn’t your area of expertise, don’t worry. Depending on your goals and needs, there are a few ways to go about building your professional website. One option is to hire a web designer to customise your website if you’re on a time crunch and have the money to pay someone to do it. Prices can vary depending on the web designer. However, if you’re on a tight budget or have the independent drive (like I know you do! ), you can totally do it yourself. I’ll be linking some cool tools that Selz can help you with to integrate and personalize your site and get started. Use them as guidance and to gain some knowledge as you wish. Here are some basic steps that any personal trainer can use to build an awesome website and start selling personal training online ASAP! Let’s get to it! If you don’t have a name for your website, then start brainstorming ideas! I’d recommend narrowing it down to your top three domain name choices (just in case your first choice is taken!). Think about what your name will represent. For example, Amy Clover (mentioned in Chapter 1) created Strong Inside Out based off her very unique and personal story. Another cool example is Steve Kamb from Nerd Fitness. Create a name that works for you! However, keep in mind that you’re selling personal training online emphasis on selling. You can choose to have your name in your domain name or not. It’s up to you. After you have your domain name selected, the next step is to register it. To make things easier, you can register your domain name and hosting company with the same company. A hosting company is necessary to make your website come to life. Both of these can be very inexpensive depending on the service. If you’re not tech savvy, there are web hosts that can provide all of your requirements. Selz actually allows you to customize a full online store with their simple store simple store editor. Tip: Call customer service and ask them your questions to see if they’re the right fit for you. Themes are the bomb.com! They’re a great way to dress up your website without the need to know all of that technical mumbo jumbo. It’s all about finding a right theme. If you buy a theme from an outside source, you can either figure out how to install it yourself or find someone on fiverr.com (or somewhere else! )and pay them a few bucks to install it for you. The good news is that there are many themes to choose for free and easy to apply. 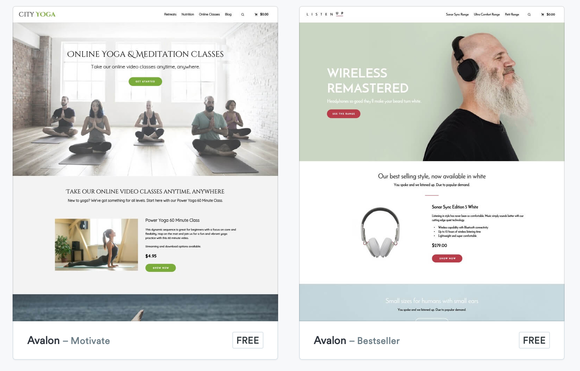 Instead of hiring a web designer, you can go the cheaper route and pick a theme for free! There are plenty of free ones to choose from - wordpress offers a good variety of free choices. Or you can choose a free one with Selz and get started right now! What are you going to put on your site? Content! You may not be a writer, but can you put a decent sentence together? This is key to selling personal training online. Use your words! Your potential clients will read your “about me” section, your testimonials, and look at your services. This will help them decide if they want to sign up with you. Think about the main things to include on your website, write it out and make a list! Tip: When starting out, considering training family members, friends and even strangers for free! Ask them if you could take before and after pictures to feature them on your website. Also, ask them to write a brief review or testimonial. You can add a blog to your website and provide advice to your clients or potential clients. This is a great way to add a little spice to your website. Having an email list is a great way to build clientele. Also, consider sending out a newsletter that you can send out weekly, bi-weekly or monthly. If you’re building a site with Selz, check out Zapier, a cool tool that integrates with major email marketing platforms such as ActiveCampaign, MailChimp, Drip, and Aweber. When it comes to payment and transactions, this can be easily be done with services such as PayPal. It may be a good idea to have a conversation with your bank to see what other options you have. Keep in mind that requirements and payment processing with differ from country to country. Checkout some other cool tools by Selz! Remember, with selling personal training online, a website will take you a long way in your career. So now that you have the basics down, it’s up to you to get started on your personal training website. Now get to it!